This time of year is always exciting for me with all the snuggly winter products coming on to the market. Autumn and winter are my favourite seasons and my boys are the same, thriving in the cool, crisp air. Part of the enjoyment of the cooler months is being able to stay warm in a variety of gorgeous clothing and bedding. We’re loving the beautiful Wrap Me Around You blanket from Lilly & Lolly. Made from soft lambswool in shades of dark and light grey, it is generously sized to tuck comfortably into a king-single bed – a blanket you can take from lounge to bed is always going to be versatile. 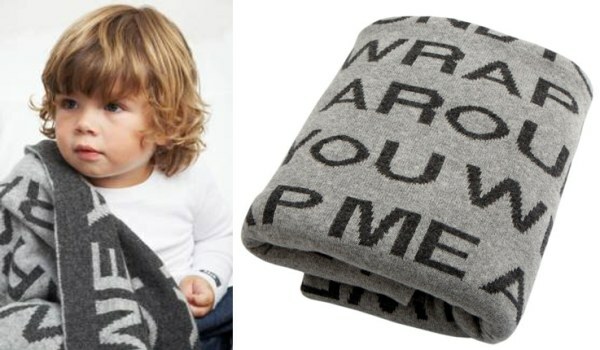 The blanket features instructions embedded in the woven wool with the words Wrap Me Around You in bold font.